do with credit card charges and Jetstar. I skimmed over it and pressed delete without giving it a second thought. After all I had a conference to get ready for and I while I was flying it was not with Jetstar. Despite living in a capital city that is in the middle of no where, flying is not something we do very often. With five of us it is just to dang expensive. Last year when we were invited to Cairns for my sister's wedding it worked out more economical to road trip than fly. Which is just ridiculous. It was a round trip in the vicinity of 6000km. So when I do fly I like to do so in style. And by style I mean an air carrier that provides me with food and drink without any exorbitant extra charges. Which kind of only leaves me with one option. Thankfully, for the most part if there is only one person flying and if you time it well and in advance, you can generally pick up a reasonably priced ticket. As such I rarely pay much attention to any of the airline kerfuffles that are often in the media. Hence the skim and delete with the whole Jetstar petition email. So there we were, all talking about this and that and whatever. Who has had what results in social media and what not (what else would a bunch of bloggers be discussing) when the 1st Available guy, who goes by the name of Klaus, pipes up with, "well my petition on change.org has nearly 35000" or something to that effect. Naturally he had all our attention. Turns out that Klaus was referring to the Jetstar petition that I had simply thrown to the trash without a second thought. Meeting the person behind something I so quickly discarded made me feel a tad bad. 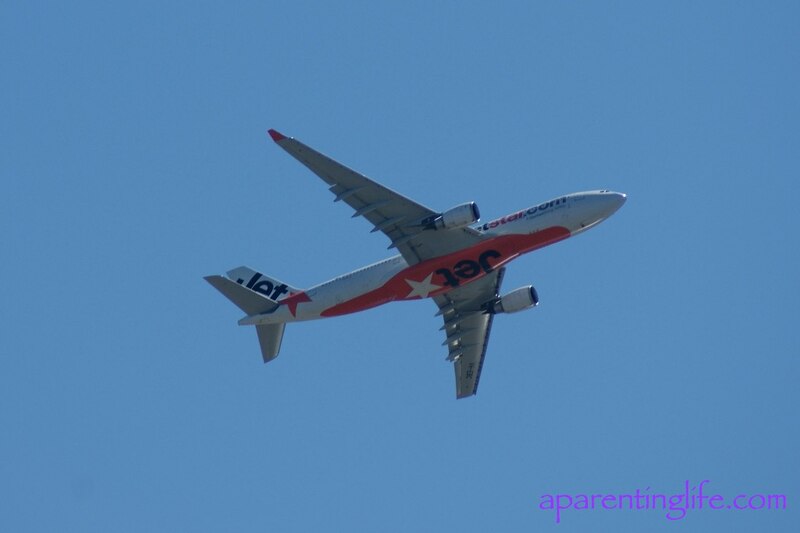 To make up for my indiscretion I promised to write a post sharing the wrongs of Jetstar's ways. Well every time you book online with Jetstar and pay by credit card (essentially the only means available) they hit you with a $8.50 surcharge per passenger per flight. So if I wanted to take my little family of five on a return trip, I would be charged $8.50 a total of TEN times. Which for those to lazy to do the maths is an extra $85. And that my friends is beyond crazy. In fact that is half the price of what I paid for a one way ticket to Sydney. To add further insult to injury the Reserve Bank of Australia (RBA) has recently put out a statement saying such charges are just not acceptable and should be dropped. Let's help Klaus make a stand against Jetstar. Please sign and then share with your friends. Have just signed the petition and tweeted the link so hopefully more signatures will follow. Wow what a great site 1st Available is - hopefully I will remember and use it when I need it !! Hi, thanks regarding 1stAvailable.com.au. While the business has grown very fast, we need many many more practitioners to join to give us all the experience we are looking for, which is to find and booking our appointments online or via the mobile app. We are soon to start a very exciting campaign that will encourage Australian's to "vote" that they want to book their healthcare appointments online and therefore sign up to our service. The more people that sign up, the more healthcare providers we can attract. While we have over 3000 joining already, we need many many more from a variety of healthcare services. Its an exciting business, and one that aims to make it easier and more convenient to access these services, which will know will have a positive impact on the health of all Australian's. Anyways, enough of the serious jabber, I am just so humbled by the the attention and support. Thank you! And you reminded me I had to sign it too even though I don't fly! It's beyond insane the extra charges we have to pay for simple every day things, let alone something most of us do once in a blue moon - in my case one day when I get the guts! Thats obscene, I noticed last time I booked and thought it was ridiculous. I understand institutions passing along a 1% surcharge, if the fee's are not included the price of the item fair enough, but Jetstar is just fee gouging. Thanks for passing on that info. I don't fly much, but those charges are just ridiculous. Rip off merchants! Wow Rhianna! What a great blog and surprise!! This is quite a significant issue for ALL Australian's carrying a credit card and is not just about Jetstar. Jetstar's surcharges are obscene which is why I have aimed this petition at them, but it has become a plague unique to Australia and is growing rapidly across retailer. Hotels now charge 2-3% for all charges to the hotel! Imagine if within 12 months (and it is likely unless we can stop this) that paying your electricity bill and any retail purchase now has a 2-3% or more if Jetstar cannot be brought into line as others will just follow their lead and charge the 17% or more that they are guilty of! Here is a a link to a radio interview I did 10 days ago on 2GB, http://www.2gb.com/article/petition-urge-jetstar-drop-surcharge. In fact I have only just got off another radio interview on ABC National News Radio. I have never done anything like this before, but this needs to stop and it is only by getting many more thousands of people behind us that we can stop it. thanks all for listening to what might seem like a rant, but which I think is actually important to everyone if we let it go unchecked. What really annoyed me, was that there was a PayPal option, but the link didn't work, so you can't get out of that surcharge! Plus jet start charges you for everything extra as well, so it's a bit rough. Off to sign now. I cant stand tha credit card fee.... it just annoys me. Hotels are now charging the fee which is just ridiculous. Because who carries that amount of cash in their wallet? I know pay for flights via bank transfer. I hate paying those unnecessary extra costs. Just bugs me!!! Tahlia, that is exactly what triggered this for me! My greatest concern is that before long, your electricity bill, water rates, council rates, indeed everything, will start carrying these charges, and perhaps even at the obscene rate if 17% plus that Jetstar charges! That is why I think we need to all get behind stopping this. Please consider spreading the word. Great post, Rhi. Well done on opening up everyone's awareness.